Make your personal image as background of your music player! Download the all new My Photo Music Player app and set your custom photo with any song playback background easily. Search and play songs in your device faster with using My Photo Music Player. 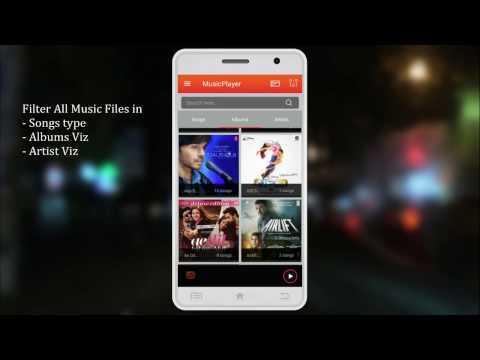 A free Multimedia player for the Android and Music player. Now you can listen all popular audio formats on your phone or tablet with hardware acceleration for faster and smoother playback. We add equalizer in My Photo Music Player that will help to set bass, Classical music, Dance with music ,Flat change , Hip Hop Song, Pop Effect, Rock Effect in equalizer. The background image can be set to a photo or image files taken with the camera. Changing to match the songs and photos, you can hear the song. My Photo Music Player is an amazing concept of photography in music player to set your photo or your lover photo whatever you like to set you can set easily. - Play music by song, artist, album or playlist.